Origin and Phylogeny of Rices provides an evolutionary understanding of the origin, spread, and extent of genetic diversity in rice. This single volume is the first to review and synthesize the significant work done in this area in the last 30 years. Rice is the most important food crop of humankind. It provides more energy and also forms the staple food for more humans than any other food plant. 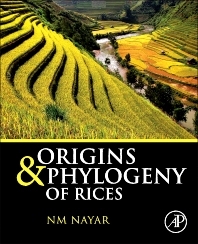 This book assesses multiple aspects of this crucial crop in chapters devoted to rice's history and spread, phylogeny of the genus Oryza, Oryza species and their interrelationships, and the origins of west African and Asian rice. Chapter 3. Phylogeny of the Genus Oryza L.